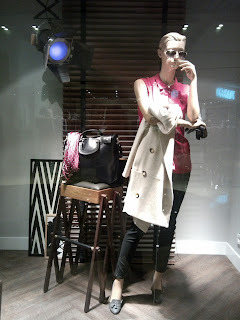 So long I do not write any posting about Massimo Dutti in Jakarta. 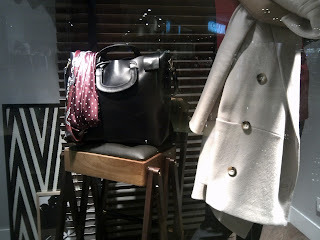 The main reason is because the constant display arrangement that never change. 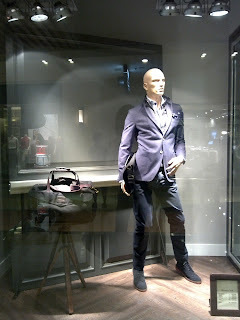 Recently, I passed by this brand's store at Grand Indonesia and saw the different mannequin expression at the men section entrance. 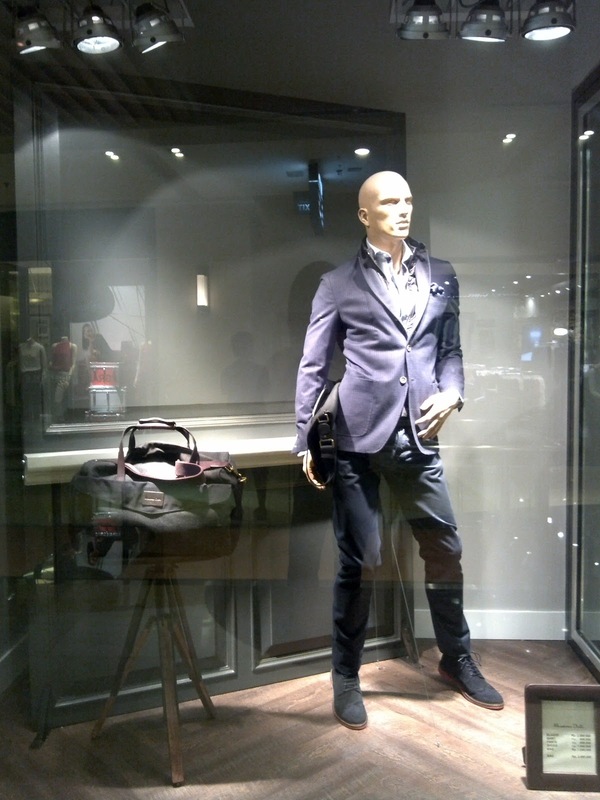 On the left, a male mannequin stands with, for me, rather awkward pose. 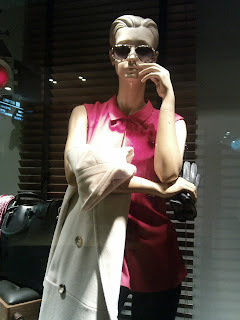 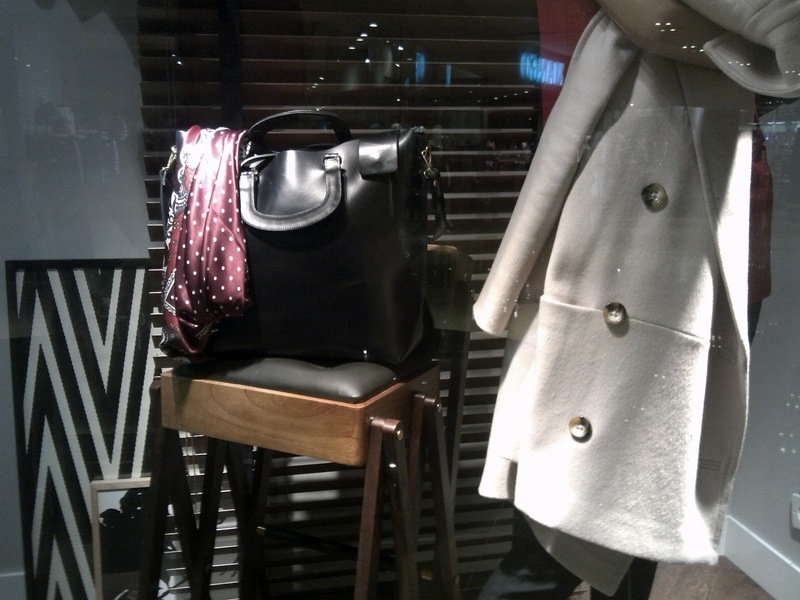 The right window is occupied by a female mannequin with very attractive pose and styling. These two mannequins are like actor and actress on a movie studio. Look at the big board behind the male mannequin and also properties near the female one.